The RØDECaster Pro is designed to simplify podcast production whilst delivering superb audio quality. It supports up to four presenters/guests, as well as offering easy connection to phone, USB and Bluetooth™ sources. Eight programmable pads offer instant playback of sound effects and jingles. Podcasts can be recorded directly to microSD™ card, or to a computer via USB. Ease of use is assured, with intuitive controls and large full-colour touchscreen. 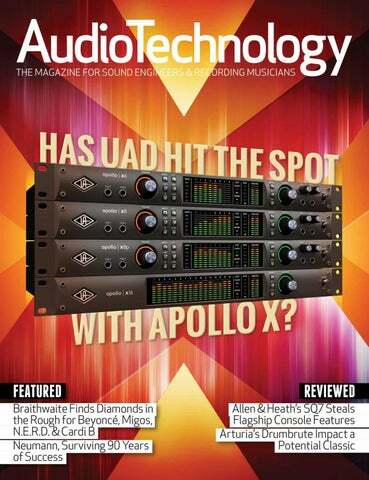 AudioTechnology magazine (ISSN 1440-2432) is published by Alchemedia Publishing Pty Ltd (ABN 34 074 431 628). Contact +61 3 5331 4949 info@alchemedia.com.au www.audiotechnology.com PO Box 295, Ballarat VIC 3353, Australia. All material in this magazine is copyright ÂŠ 2019 Alchemedia Publishing Pty Ltd. Apart from any fair dealing permitted under the Copyright Act, no part may be reproduced by any process with out written permission. The publishers believe all information supplied in this magazine to be correct at the time of publication. They are not in a position to make a guarantee to this effect and accept no liability in the event of any information proving inaccurate. After investigation and to the best of our knowledge and belief, prices, addresses and phone numbers were up to date at the time of publication. It is not possible for the publishers to ensure that advertisements appearing in this publication comply with the Trade Practices Act, 1974. The responsibility is on the person, company or advertising agency submitting or directing the advertisement for publication. The publishers cannot be held responsible for any errors or omissions, although every endeavour has been made to ensure complete accuracy. 7/3/2019. Thank you to all our loyal customers! We look forward to extending our hand to all of our future customers. LATEST VERSIONS OF THE FOLLOWING SOFTWARE AVAILABLE: Steinberg – Cubase, Wavelab + Nuendo, NEW Dorico (scoring and notation program) Avid Pro Tools + Sibelius, MOTU Digital Performer, Ableton Live, Propellerhead Reason, PreSonus Studio One + Notion CONFUSED AS TO WHAT SOFTWARE TO BUY? CONTACT OUR EXPERIENCED STAFF FOR ASSISTANCE. 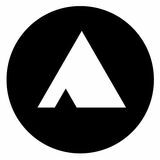 ARTURIA / BEST SERVICE / EAST WEST / MOOG / MOTU / NATIVE INSTRUMENTS INCLUDING KOMPLETE 12 & KOMPLETE 12 ULTIMATE / SPECTRASONICS / STEINBERG / TOONTRACK / UVI / VIENNA INSTRUMENTS / & MANY MORE! High end monitoring controller. True analog monitoring and summing system. HUGE RANGE IN STOCK AND ON SHOW! ADAM / ALESIS / ATC / BEHRINGER / DYNAUDIO / EVENT / FOCAL / FOSTEX / GENELEC / JBL / MACKIE / M AUDIO / PRESONUS / TANNOY / YAMAHA / & MANY MORE! Analog Summing, monitor control, on-board D/A conversion, talkback, headphone cue, simultaneous input monitoring. ROLAND VR-730 Complete Mix Control: StudioLive Mixers is a compact, intuitive mixing solution for the StudioLive Mixers rackmount digital mixers and Studio One digital audio workstation. IK MULTIMEDIA KEYS I/O HEADPHONE DISTRIBUTION AMPS AVAILABLE INCLUDING: APHEX / ART / AVENSON / BEHRINGER / FOSTEX / GRACE DESIGNS / MOTU / PRESONUS / PURPLE AUDIO / RANE / SAMSON / SPL / ETC. Deep instrument control in any DAW ROLI REVOLUTIONARY with VST/AU support. Load patches directly from the keyboard and start controlling parameters immediately. Designed for Excellence in Every Detail. Introducing Apollo X. UAâ&#x20AC;&#x2122;s new flagship interfaces, featuring elite-class A/D and D/A conversion, new HEXA Core UAD plug-in processing, Unison preamps, +24 dBu operation, Surround Sound,* and more. All in a sleek Thunderbolt 3 package for Mac and PC. Sound features coming Q4 2018.
Who are you currently touring with/mixing? I’m currently touring with The Preatures and The Veronicas as their monitor engineer, and I mix FOH for Jen Cloher. I also work at Northcote Social Club as an in-house production tech and freelance FOH/monitors/stage tech for a few production companies. What are some other acts/bands you’ve worked with? The list is very long: Tkay Maidza, George Maple, SAFIA, Abbe May, LANKS to name a few. Courtney Barnett and all of the amazing Milk! Records family are regular clients and friends. I also have production managed multiple venues across Melbourne including Shebeen and The Curtin Bandroom. How long have you been doing live sound and what was your path to a career in audio engineering? 2018 marks my tenth year working in live audio. I started out as a teen, when my music teacher taught me how to setup a PA. I ended up studying at SAE because I didn’t want to study music at uni and it turned out I was pretty good at mixing. I started mixing friend’s bands, who then networked me with their friend’s bands and it all snowballed fairly quickly from there. Now I’m working five to six nights a week all over the country. What is your favourite console and why? I’ve always been a fangirl of Digico; for sound quality, ease of use and flexibility. Digico is always at the top of my production rider. The SD10 has been my favourite console for a long time. However, I’m definitely keen to get my hands on an SD12. Favourite microphone or any other piece of kit? I don’t really have a favourite microphone. 90% of my personal live kit is Sennheiser mics, with a couple of Audio-Technicas, a single Audix and Shure. I definitely use my Shure Beta 91A the most out of everything I own. It’s super versatile for miking things from kick drums to grand pianos, to tap dancing boards (which I have had to do more than once). It’s also slim enough to get inside all kick drums with a port. It’s usually the only mic I will throw into my bag if I’m not carrying a mic kit. I’m also a big fan of my Audio-Technica ATM450s. They sound great on everything. Most memorable gig or career highlight? ones the most, so you remember what not to do or how to fix it. The most recent was at a festival where we had a catastrophic generator fail and lost all onstage power multiple times. Every time it happened I would have to power cycle my console and it would take me a couple of minutes to get back up and running again. Each time I’d got back to the point where the band could safely put their IEMs back in, we’d lose power again. A career highlight has to be the run of stadium shows I’ve been out on this year as a monitor engineer. It’s an entirely different level of production and the connections I’ve made and the amount of new things I’ve learned are definitely invaluable to me. Gig highlight for this year would probably have to be a short three-day run with Jen Cloher. I went from an analogue Soundcraft in an old cinema, which was a lot of fun, to a surprising community hall which turned out to be one of the best sounding rooms I’ve ever mixed in, to a sold out Croxton with four of my favourite musicians. What are three mixing techniques you regularly employ? One thing I do with The Preatures is setup an SM57 a few inches over the kick drum and heavily compress it. Izzi prefers the sound of ‘old school’ drums, so rather than send her the close mic’d drums which sound very modern, she only gets that 57 and some OHs. Depending on who I’m mixing, I often use parallel compression, particularly on the drums. Back in analogue days this was simple to do, but nowadays a lot of digital desks have made it harder with latency and phasing issues becoming a problem. A way I’ve worked around this is to mix to groups and have duplicate groups for whatever you want to parallel compress. One group is uncompressed and the second is your parallel. However, this doesn’t work for all digital consoles. When I’m mixing monitors and FOH at the same time, if I have the channels available I digitally Y-split my vocal channels. I do this particularly with quiet singers. It gives me the ability to do different EQ and processing on each channel and get as much gain before feedback in both the monitors and FOH without compromising on audio quality. bodies and hold any excess cable while having the packs almost entirely hidden from view. That being said, I’ve been researching Waves LV1 a lot recently and it looks to be something that has a lot of potential. It’s something modular and interchangeable, so you can only fly with what you need if you need to save on weight. Plug-ins have definitely been considered a game changer for a lot of engineers, including me. Waves is by far the most popular and they’ve recently released some cool plug-ins I’m really keen to try out, including one called X-FDBK. It’s basically an automatic feedback analyser/suppressor. It would be handy for festivals and shows where you don’t have a lot of time to tune wedges. What are three pieces of gear or features that have been game changers for you? How have your working methods changed since you began live sound mixing? When I started out, everywhere I was mixing had an analogue console. Very few venues had digital consoles installed. They started changing over around the same time I was becoming super confident in my mixing, so I basically had to relearn my approach to mixing on a digital console. I used to have to take photos of my GEQs for each venue and photos of the console after the headliner had sound-checked so it could be recalled before they went on. Nowadays, instead of photos I have show files for almost every console, or can at least build half a show at home before turning up to the venue, then just save a full soundcheck. No more manual recalling. Any tips/words of wisdom for someone starting out? track will alter the velocity of the hits; introducing movement without manual intervention. There’s plenty of storage for patterns and you can launch patterns in real time like Ableton or Bitwig’s clip launchers. It could turn the app into a backing track platform for a musician or singer on stage. You can easily save patterns to another slot as a starting point for the next section of your song. Automation is accessed via the Motion tab where you can insert real-time tweaks over a long list of parameters. From the user experience to the song-creating potential, Korg’s app implementation is top notch and I’d highly recommend checking it out — even if it’s just to stretch those musical muscles on your sofa after work. or WIRELESS Premium Dynamics or Premium Condensers Electro-Voice ND (76, 86, 96) premium dynamic and the new RE (420, 520) premium condenser handheld microphones are available in wired or wireless models. Five wireless capsules are available for use with the handheld transmitter and the new RE3 UHF wireless system. A bodypack system and several capsule options for instrument and lavalier/headworn mic applications are also available. Neumann isn’t celebrating 90 years in the biz by a string of lucky coincidences, assures president of Neumann, Wolfgang Fraissinet. Throughout its long history, the German microphone manufacturer has been delivering on one key proposition: riding at the edge of physics to help turn natural sound into pieces of art. That’s not going to change; but Neumann, as a company, must. Recently, we caught up with Fraissinet during his Australian visit to talk about the future. AT: What’s 90 years of Neumann really mean for the company? Wolfgang Fraissinet: The 90-year anniversary provides a good opportunity to talk about our history and even more importantly, talk about where we are going. Being 90, there’s a danger of being viewed as a little bit dusty and old — almost 100 years old. So I get the chance to talk about what’s going on within our research and development department where we gear up for the years to come. AT: Neumann has been a Sennheiser company for 25 or more years now. How much of that R&D happens at Neumann versus within the Sennheiser mothership? WF: R&D is within the Neumann headquarters, located in Berlin. Sennheiser R&D is in Hanover. We do of course have some synergies between both groups of engineers. Take, for example, the Neumann capsules for Sennheiser wireless transmitters. In that case it makes sense to give the best of both brands to the same customer to get better audio results. But other than that we are developing completely different tools and technologies at Neumann. We share information, we talk openly about our R&D with Sennheiser, but we owe it to our customers to remain as Neumann. AT: Neumann has recently reissued the classic U67. It feels like a brave move to bring back such an iconic microphone. The level of scrutiny is unlike any new microphone release. WF: Interestingly, we reissued the U67 in the early ’90s for a period. At that time we had enough parts from the original production of the U67 [1960-1971] which we used to assemble microphones. After that we stopped and we thought, ‘well, we can never do that again because we’ve used up all the parts’. We had some happy customers and no quality complaints — after all, these were U67s through and through. More than 20 years later we asked ourselves, ‘Can we recreate these parts, while conforming to modern RoHS rules?’ ‘Will the result really be a U67 so that we can very clearly call it a U67 reissue?’ ‘Or is it only close to the U67?’ If the latter was the case we wouldn’t have followed through and built it. The answer; a clear ‘yes’, it really could. into the microphone. So the microphone had a connection to a software channel which you could see on your laptop and you could, for example, control the gain setting from zero to 63dB in one dB steps or you could change the polar pattern between 15 different patterns with a pushbutton. Those things did not have any influence on the self-noise level of the microphone because there is no self noise — once it is zeros and ones, the signal remains the same. As long as it is an analogue signal you always increase the self noise level by the time you put the gain up. So those things are predictable developments even in the future, when you talk about digital microphone technology be it Solution-D or something else. AT: You’ve been with Neumann since the early ’90s, how has your constituency changed? WF: The magic term here is ‘customer loyalty’; now in a group of younger customers. A few years ago audio engineers were still coming up through professional recording studios and they were all in contact with Neumann products and they knew that without Neumann the results wouldn’t be the same. Increasingly, people are bypassing the professional studio world. They’re still achieving more or less good quality recordings but they are not in contact with Neumann so much anymore. That is something we do sense and that is something we do see. That’s why we’re increasing our social media activities dramatically right now. As we get online, people who are not even audio engineers are making serious requests for our products and services. We have to stay on top of these developments. We can’t afford to think: the past was easier. Neumann needs these fresh thoughts, fresh ways of thinking and fresh young people who are users of multimedia. AT: Tricky waters to negotiate. A blogger doesn’t want to spend more than a couple of hundred bucks on a USB mic. WF: When we are targeting these younger target groups where we say ‘okay we need to have services and hardware solutions and software solutions for their needs of recording’, we are in a different field of business and that is something which I will not explain in detail because that is exactly our homework right now. But it means it’s a big change for every manufacturer and the earlier we face it, the better. If we don’t change, we lose business. AT: Readers of this magazine could point to examples of companies with great brands, going downmarket unsuccessfully. No one wants to see a Chinese-made pair of cheap headphones with Marshall’s distinctive logo on them, for example. WF: True. Interesting you use that example. Because there’s nothing wrong with thinking Neumann could make a headphone. We know how to make good transducers and the Sennheiser mothership makes headphones. I think people would consider such a product to be serious. The question is: would it be a 49 Euro set for a cell phone or would it be a real headphone. The answer is: it will be a real headphone and you can see it at NAMM 2019. AT: Thanks for the scoop Wolfgang! See you at NAMM. While many top end mixers have a preworkout routine that can include a lot of prep work; like conforming a session to a preferred template, replacing existing plug-ins with preferred options or stripping them out to the bare track, Leslie Braithwaite reckons it’s all non-essential for getting the mix right and working fast. What’s important? Giving the artist what they want, which can usually be found in the rough mix. “Whenever someone sends me a session, the first thing I want to know is: Has the client been listening to the rough?” explained Braithwaite. “If they’ve been listening to it for a long time, I’ll put it on a track in the session, so I can really scrutinise it and lock into what they love about this rough. Then I can A/B it with what I’m doing. Someone who has been listening to a rough for a long time is not going to want something radically different. Especially in my world — the hip-hop, R&B and pop world, where I work with artists like Cardi B and Beyoncé — this is really important. “With Cardi B, Beyoncé or Ariana Grande, I will work from where they left off. They don’t like things to sound too different from what they had. I will often stick to the existing plug-ins, even where I’d tend to use something different, because in this genre, mixing is more about making it work and getting the vibe right than about getting things to sound perfect. I also don’t typically spend a lot of time trying to retrofit a session I have received to how I like things. I don’t adapt the session to my own template, or start the mix from scratch. I’LL WORK WITHIN HOW THEY’VE ORGANISED SESSIONS, ONLY OCCASIONALLY ALTERING ELEMENTS SLIGHTLY TO FIT WHAT I AM USED TO. THAT MEANS I CAN WORK A LOT QUICKER. ABOUT BRATHWAITE Brathwaite’s current minimalist setup and approach is the end result of several decades of adapting to new technology, and whittling things down to essentials. Originally from the Virgin Islands, he attended the Recording Arts program at Full Sail in Florida and graduated in 1992. Following this he moved to Atlanta, where he worked with the likes of Jermaine Dupri, Babyface, LA Reid, and Dallas Austin, in the latter’s DARP studio, where analogue tape and big desks still ruled. Brathwaite moved to Patchwork studios in Atlanta in 2001 and to Akon’s Music Box facility in 2012. His credits over the years also include the likes of Aretha Franklin, Björk, and Eminem, and recent achievements include mixing N.E.R.D’s No One Ever Really Dies, almost the whole of Cardi B’s Invasion of Privacy, several songs on The Carters’ Everything Is Love, and seven tracks on Ariana Grande’s forthcoming album, some of them comixed with Phil Tan. Leslie Braithwaite at work in his Music Box Studios space. So what’s the end game for this ambitious company? Manuele emphatically states that dBTechnologies has no interest in competing with the PA giants. Instead, the vision is to hit the mid-range pro audio market hard with the intent of becoming the leading PA supplier in that market segment. dBTechnologies hopes that by achieving that goal its products will become attractive alternatives for the lower end of the top-range market. In other words, if you run a rental company with an inventory that’ll handle the next Foo Fighters show, chances are you’re not on the waiting list for a Vio demonstration. Although you may fancy a Vio rig as a backup offering when all your L-Acoustics and d&b stock is on the road. S218 SUB dBTechnologies released the new S218 dual 18-inch neodymium subwoofer alongside the L212 announcement as the perfect partnership of tops and lows. The S218 response descends down to 28Hz and features much of the same innovations as the L212 such as a switched mode power supply with PFC, Dante compatibility, and NFC proximity sensors to inform Aurora Net of each sub’s position. Onboard DSP includes a cardioid stack preset button which automatically processes the sound of the backward sub in gradient inverted stack configurations to reach maximum cancellation on the rear side. TAKES THE FORM OF PERSISTENT SQUARE CLIPPING RIGHT IN THE MIDDLE OF THE SIGNAL (RATHER THAN AT THE PEAKS) AND IT MAKES CLASS B A VERY LO-FI ANIMAL INDEED. THAN HALF OF EACH CYCLE, THEY ARE SAID TO BE BIASED TOWARDS CLASS A, SO THIS TOPOLOGY GETS REFERRED TO AS CLASS AB. turns off and waits for the next switching cycle where the process repeats. In my diagram, the input signal is compared to a continuous sawtooth wave whose frequency sets the duty cycle rate . Because the ‘pulse’ duration within each duty cycle varies according to demand, this kind of energy delivery is known as ‘pulse-width modulation’. In an alternative variant of Class D the pulse duration is fixed, but the length of the duty cycle varies, and this scheme is called ‘pulse-density modulation’. What both schemes have in common is that they spit tiny pellets of energy at a load, to build mountains of amplitude – a bit like a 3D printer making an object out of droplets of plastic. Because the transistors are only ever turned on for the amount of time required to produce each droplet, there is very little wasted energy, and very little heat, meaning amplifiers can be made smaller because they don’t need a great big ventilation system. In the late nineties and early noughties, Class D schemes really came of age, making self-powered monitors practical, achievable, and affordable. In pro sound reinforcement these boxes were welcomed with open arms, so much so that it is now unusual to rig a live show without them. Also, Class D amplifiers are used in many current brands of near-field studio monitors, with good ones boasting less than 0.01% Total Harmonic Distortion. In smart phones and other headphonedriving, battery-powered gadgets, Class D is a popular inclusion for its low power consumption, small size, and cool running. Now we’re back to radio frequencies. Class E is like a mash-up between the tuned linear circuit of Class C and the full on/off switching of Class D. They are designed to be used above 100MHz, where Class C starts to struggle. Class F is like E with fries. Used in some cell phones, this scheme takes the idea of Class G to the logical limit. Instead of rail switching, Class H tracks the input signal and moves a single set of power rails up and down in unison. This leads to around 80% efficiency, which is better than Classes G and AB, but not quite as good as D.
Another version of Class D that is usually associated with radio frequency or digital input audio operation. It applies a fancy algorithm to convert multi-bit digital signals directly into pulse-width modulation, bypassing the normal D-to-A stage. Annoyingly out of sequence, the ‘S’ is generally believed to stand for ‘Switching’. User-created glue can also be invaluable between MIDI-enabled hardware (including synthesisers, drum machines, samplers and effects) and your PC. For instance, a fine selection of user-created helpmates can be found among the pages of the CTRLR website (ctrlr.org). The Ctrlr utility can control any MIDI-enabled hardware, and you can use it to create ‘panels’ (custom user interfaces) for all these products, and then host them as standalone editors, or VST plug-ins in your favourite DAW. Ctrlr is an open source project, so coders can add patches or new features themselves. There are plenty of dedicated users who have already created a wide variety of panels, many of which are almost photographic reproductions of their hardware front panels, and often far easier to operate than the hardware equivalents. You also get the benefits of computer-based preset handling, typed entry of patch names and the like. Some even include waveform and wavetable editors where applicable! There are already many Ctrlr panels available for hardware from Ensoniq, Korg, Novation, Roland, Sequential/DSI, Waldorf and Yamaha, as well as for plenty of modern boutique and retro hardware items. The vast majority are free to download, and in my experience can be a godsend for both patch creation and bank organisation. As well as utilities, hanging out in forums will also keep you up to date with any firmware updates, which can sometimes add new features, as well as dealing with the odd bug. #AVNetworkingMadeEasy Set up a professional AV network without IT knowledge. Our data distribution equipment is used for pro lighting, audio and video solutions in the entertainment industry, installation market and architecture business. from one central platform: your favourite RDM controller. it for live events makes it really vulnerable for damage. That can lead to catastrophic situations. But not with Luminex. Our devices have an extra robust housing and ruggedized Ethercon or Fiber-Optic connectors. Universal Audio’s freshly minted Apollo X range hits the spot with ‘HEXA Core’ processing, superior conversion and surround monitoring. SUMMARY The Apollo line continues to flourish with the latest hardware upgrades improving sonic and DSP processing performance. New surround monitoring, +24dB operation and built-in talkback mic add even more pro-requested features to an already impressive product. APOLLO & THUNDERBOLT 3 – ARE YOU COMPATIBLE? There are a few potential issues to watch out for when connecting devices via Thunderbolt 3. The first is to check all connecting cables have the Thunderbolt lightning icon. The actual connector type is known as USB-C but not all USB-C cables are Thunderbolt-enabled. Mac computers with TB1 and TB2 ports can run the Apollo X range using a TB2-to-TB3 adapter. When purchasing an adapter ignore the fact that the data direction arrow points the wrong way, the adapters transmit data just fine in both directions. Unfortunately, PC users will need a TB3equipped computer to run the new Apollos. For those contemplating expanding an existing system, the new models will interface with older Apollo units equipped with the Thunderbolt 1, 2 or 3 option cards, UAD-2 PCIe Cards, Apollo Twin Thunderbolts and UAD-2 Satellites (Firewire, Thunderbolt and USB). The only incompatible units are USB-model Twins, while Firewire-model Apollos need to be upgraded with the optional thunderbolt card before joining in. While the new units are designed to work with all major DAWs and computers its worth checking the UA website for compatibility with your particular system. tracked a full acoustic-based song using just the Century Channel Strip with Neumann U87 and SM57 microphones and was really happy with the results. Acoustic guitars gained body and shine with some EQ and subtle compression, vocals sounded sweet and present and drums also worked nicely with the Opto Leveler giving me some nice grit and density on overheads and bass in particular. The preamp sound is subtly flattering without adding too much hype or mojo when you don’t want it. Signals can get pretty furry when driven hard through this ‘circuit’ and its not necessarily a pretty sound so you need to watch your input levels. The EQ is basic but very useable while the leveller keeps things nicely in check. The name of the game here is gentle signal optimisation while tracking, so kissing your sources lightly with EQ and compression is the way to go rather than sticking the tongue in (so to speak). The leveller can get a bit grabby above -3dB of compression and too much boosting of those set EQ frequencies across a bunch of tracks will create problems down the line, but if you keep things light it’s a great way to sweeten and groom tracks for an easier ride come mix time. Full marks to UA for coming up with a tasty tube-based design that really takes full advantage of the Unison software/hardware interface. Universal Audio has once again positioned itself well in a crowded marketplace by updating the Apollo converters and adding value to the new X range. Whether the incremental improvements in sonics, processing power and features are enough to see a mass migration from the older units to the new ones remains to be seen but initial preorders are strong in Australia and the units have been very well received overseas. Expect further software releases from UA in the near future that will unleash the full power of the X range with surround monitoring being the next cab off the rank. Who knows, perhaps we’ll see UAD-3 plugins before too long as well. Those who do pull the trigger on an Apollo X model will certainly not be disappointed by the sound or versatility of the units but, as always, buyers should be sure to keep a few extra dollars stashed away in the cookie tin for all those tasty UAD plug-ins. The Qu series was a raging success; not only was it easy to use, but it had plenty of clarity, too. In the meantime, Allen & Heath overhauled the top end of its digital range with the D-Live series; introducing 96k sampling rates, almost doubling the channel count of iLive, and building more professional interfaces and touring packages. It also split the range into two surface ranges; the touring-spec S-Class, and the install/smaller rental house-spec C-Class, which comes with a few less knobs and buttons, but still operates the same engine and racks. There was, of course, a huge gap in the middle. A console that could still drop-in as a replacement for an analogue console, but make use of some of that d-Live tech. The SQ series is it. Like the Qu series: each console has a healthy collection of I/O on the back; the processing engine is onboard (not housed in the I/O rack); and it has a similarly user-friendly interface. On the flipside, like the d-Live: SQ runs natively at 96k; the channel and bus-processing count doesn’t change with the size of your surface (you can operate the 16+1 fader SQ-5 surface and still have the same 48-channel/36-bus architecture as the 32+1 fader SQ-7); it’s got multi-colour LCD scribble strips; fully-customisable fader banks; an LED light bar; as well as dLive multi-colour knobs, and customisable soft rotaries. SUMMARY There’s not much the SQ hasn’t taken from the flagship dLive system; same 96k processing and latency, same engine core, can use the same preamps. The only thing it’s lower on is screen real estate and size… one of those is a bonus. cable. There are two DX Link Ethercon ports on the side. For a standard single-box operation, simply plug into DX Link A. You can easily expand your remote stage box I/O count to 32-in/16-out by linking the DX Link B port to an A port on another DX168, and switching it into Cascade mode. The other mode is a Redundant mode, but is only applicable to the d-Live series for now, no word on whether Allen & Heath will add redundant looping when an optional S-Link card is added. If you want to add the full 48 input channels via remotes stage boxes, you’ll have to add the optional DX Hub. It was designed to split the d-Live’s gigaAce protocol into four 32 x 32 DX Link ports, but you can also use it to split the SQ series’ S-Link protocol into four DX Link ports. MONITORING NEW FEATURES While reviewing the SQ7, it was up to firmware version 1.2. Just recently, Allen & Heath released a 1.3 update. It was too late to really test out the new features, but they’re worth mentioning. Allen & Heath has spruiked the SQ7 as a do-it-all console; equally at home at monitors — with its 12 stereo mixes for in-ears — as it is for FOH. However, there was no dedicated level control for an engineer’s cue wedge. The new firmware will allow monitor engineers to assign the master fader to that role. This lack of monitoring control was also apparent on the FOH side, where the only outputs for the PAFL were the headphone output and the RTA. Occasionally you want to PAFL to your main system, or at least a pair of monitors on your bridge. This has been addressed in the latest revision. There have also been additions to what you can add to your scenes (snapshots), as well as the ability to save your own channel processing libraries. A big one is the addition of more plug-in choices from the d-Live stable, available for purchase. al S-Link Card. It opens up all manner of setup schemes. You can pull in an extra 128 channels from a dLive gigaACE network, run three DX168 stage boxes off one port and an ME-U personal monitoring distributor off the other. You are still limited to a total of 48 input processing channels, but it does mean you can get them from more places. The best part is any 48k Qu or AR add-ons are all upsampled to 96k; the native sample rate of the SQ. and effects into one fader layer, so you can adjust the level of each in one place. It’s momentary, not latching, so you have to hold it down with one hand while you adjust the faders with your free hand. Getting around the console is dead easy, and the onboard effects sound stellar. There was the occasional parameter I couldn’t assign to a soft button or rotary — mostly to do with FX — but they were arguably more scene-specific controls anyway. Overall, the console sounds great. The punchier top end was immediately noticeable after switching out the SD9, which runs the D-Rack stage box. The Audix D6 has a reputation for being a quintessential modern scooped kick mic, but I always found myself winding in more top end click on the SD9. On the SQ7, I ran it flat. Same kick drum, same mic, totally different results. Likewise, a typically muddy rhythm guitar sound cut through with ease on the SQ. I was shocked by how different the two systems sounded, and grappled with the differences during my first mix — feeling like I’d lost a little of the relaxed glue I was used to — but settled in from then on. One of the benefits of Digico systems is their ability to musically handle clipping. Turning it into a pleasing saturation rather than a blemish. The SQ7 was forgiving in this regard, too. The SQ series is really well thought out, and while it looks like the next step up from a Qu, it’s really much more like getting a huge chunk of the d-Live system for a steal. The SQ series can be coupled to a d-Live-derived stage box. Sure, it’s not the big DM48 touring rack with all the redundancy features, but it has the same pres. Onboard, the SQ has the same XCVI core with 96-bit accumulator headroom as the d-Live, the same <0.7ms latency, the same 96k internal processing, it also has the same FX, the same DEEP processing preamp capabilities and will have the same plug-ins available. You’re getting flagship sound in a package that starts under $8k (SQ-5 and one DX168). STILL THE FIRST CHOICE OF AUDIO PROFESSIONALS THE WORLD OVER, RCF INTRODUCES THE ART 7 MK4 SERIES. THERE HAS NEVER BEEN A BETTER TIME TO HEAR THE DIFFERENCE FOR YOURSELF. PRODUCTION GRADE BUILD QUALITY. SEVERAL SYSTEM CONFIGURATIONS (UP TO 4” VC). PROPRIETARY FIR-PHASE TECHNOLOGY. FIVE YEAR AUSTRALIAN WARRANTY. MADE IN ITALY. SUMMARY Arturia’s DrumBrute was all about classic analogue drum synthesis done well, while the smaller, cheaper, more characterful DrumBrute Impact adds loads of ‘Color’ and distortion to shape itself as a potential classic. Considering the street-price on the DrumBrute Impact, I’m certain the machine will be a runaway success, simply because of the kick and the distortion effect. Then the FM Drum adds a world of versatility to the device again. Go have a listen, absorb a slight incursion on the credit card and grab what will outrun the original DrumBrute as a true classic. popular PA cabinet going around into the ’90s. EAW expanded really quickly… and it wasn’t all KF850s. We were really strong in the installation market. At one point we had half of all the major league baseball stadiums in The States as well as lots of NFL, hockey and basketball arenas. We still remain strong in the sector. Business was pretty frenetic. At one point we sent somebody over to sit on the production line at [transducer manufacturer] B&C to make sure all the three-inch coil drivers came to us. ‘Don’t send them anywhere else! We need them as fast you build them!’ EAW was known as a company that would listen and solve your problems. L-Acoustics started to make a real impact with V-DOSC in the late ’90s. We were late to the game because we were so dominant, busy keeping up with demand. The KF760 and 730 were our initial responses to line array and they both had birthing pains. So we lost our preeminence. We tried using technologies that differentiated ourselves when we probably should have just built something everyone could understand. In some ways the same thing is happening with Anya and Anna. People think our Adaptive technology is ‘magic’ and they’re intimidated. In the early 2000s we were bought by Mackie. The fundamental mistake we made back then was to move all our manufacturing to China. All anyone could see was the cost savings. They lost sight of something more important: being a reliable supplier. Saying that, after our original contract manufacturer collapsed we partnered with a Singapore company with factories in China and that company has been amazingly reliable. On September 4 this year, EAW was bought by Arturo Vicari, owner of RCF. It’s the best thing to happen to EAW since its founding. Twenty years ago RCF, like EAW, was acquired by Mackie Designs. Then Mackie took them to bankruptcy in 2004. It was the best thing that could have happened. Right now RCF is a much bigger company than Mackie Designs or Loud ever was, with the same people running it. Arturo is an entrepreneurial guy who wants to support the business. He’s got a very good feel for the market. He wants to see EAW expand into the high end of the market. All products coming from EAW will be of high value and high performance. Kenton co-founded EAW in the 1970s, presided over an era of spectacular growth in the ’80s and ’90s and he remains on the EAW payroll as a consultant and a popular face of the company he started. EAW was recently bought by RCF boss, Arturo Vicari. Pictured is Kenton in the late ’80s with his MS63 and 103 studio systems. EAW will be developing our adaptive technology further, and announce new products at ISE in February 2019. There will also be some more conventional PA products; that will match the performance of competitors’ boxes twice their price. I’m only supposed to be at EAW two days a week as a consultant. I’m not the decision maker, but I’m there to make suggestions. I like to attend tradeshows and talk about EAW, and people seem to like to talk to me. EAW is now a great place to work. The president T.J. Smith is a great operator. Interestingly, he was a real EAW fan as a kid — he had EAW stickers on his pencil box at school. EAW needs to grow 100 percent to be back to where it was in 2000 when it was sold. That’s a very strong goal. What I learnt from the Loud era, was never let someone with an MBA run a small company. That was our experience. MBAs nearly killed EAW. Arturo brings an entrepreneurial edge. He doesn’t have an MBA. If he needed an MBA, he’d hire one in. Instead he has a lot of experience in the business and has been very successful in his approach. It’s surprising how many people love the idea of EAW making a strong come back. Lower latency, cheaper and more in tune ...but with all the soul of the original The AudioTechnology App is made just for tablets. All the latest news, reviews, features, columns and tutorials every month for next to nothing. Stay tuned for more news at audiotechnology.com.au or like us on Facebook.